The LunaH-Map selection call came at 5:54AM local time. I was asleep. Not for lack of caring but for complete lack of knowledge the selection was coming. True to form, the day of selection for LunaH-Map was unlike most planetary missions that have come before. I remember waking up and seeing a missed call from Washington DC. I still have the message from the NASA program executive saved in my voicemail. I snoozed another 15–30 minutes before realizing they’d left a message. The rest was a blur (perhaps it still is). I listened again, and maybe a third time. After a few minutes, and a little bit of happy tears, I got nervous. The celebration was over. I collected myself and called back. The LunaH-Map selection party lasted a full 10, maybe 15 minutes. We had a lot of work to do. Some might say we had a tremendous and extraordinary amount of work to do! Fortunately, I knew we had the team to do it. I knew that because I’d worked with them already for 6 straight months of constant long work days (plus night and weekends), and over that time we’d talked a lot. It was clear to me that we all believed in this mission and, more importantly, what a mission like this could mean for the future of planetary exploration. We knew how important it was to show that a small spacecraft, at low cost, was capable of achieving a scientifically meaningful mission. We have an opportunity to be one of the first to demonstrate a host of new technologies that will push planetary exploration forward. I could tell all this, sometimes without actually talking about it, just from the tone of phone conversations with our team members. I could also tell because the quality of work that was submitted for the proposal was outstanding. And sometimes we flat out talked about it. It’s good to reflect sometimes. In any case, our team believes in what we’re doing. That’s the number one thing that pushes us through each day on LunaH-Map. A shared vision that we believe in. For building teams, this is my number one. Everyone needs to believe in what they’re doing, and everyone needs to know that their contribution is important. Which leads to the second most important key to team building. Trust. LunaH-Map, or any big project, wouldn’t be possible without inherently trusting your team. I suspect that any good leader will tell you that it’s a humbling experience. In part, that’s because the project is bigger than its leader. Every project is a sum of its parts. On our project, with such a small team, we have to trust everyone. That’s actually another added benefit because with trust, we aren’t afraid to question decisions and learn from each other. While each and every team member is an expert in their own area, we don’t have the resources to let good questions go unanswered to not have an open discussion with the subsystem leaders. It’s essential for our success. 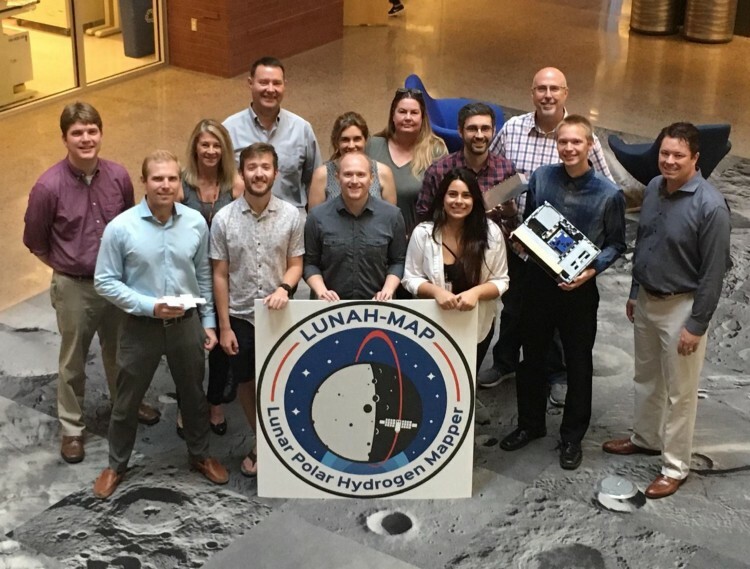 Although there are innumerable differences between big NASA missions like Psyche and small (arguably one of the smallest) NASA missions like LunaH-Map, there’s no doubt that team building is an important aspect of achieving mission success. Building and leading a team for an interplanetary mission is an honor and a privilege at any scale. *Craig Hardgrove is an Assistant Professor in the School of Earth and Space Exploration at ASU and is the PI of the Lunar Polar Hydrogen Mapper (LunaH-Map). LunaH-Map will launch as a secondary payload on the first launch of SLS. 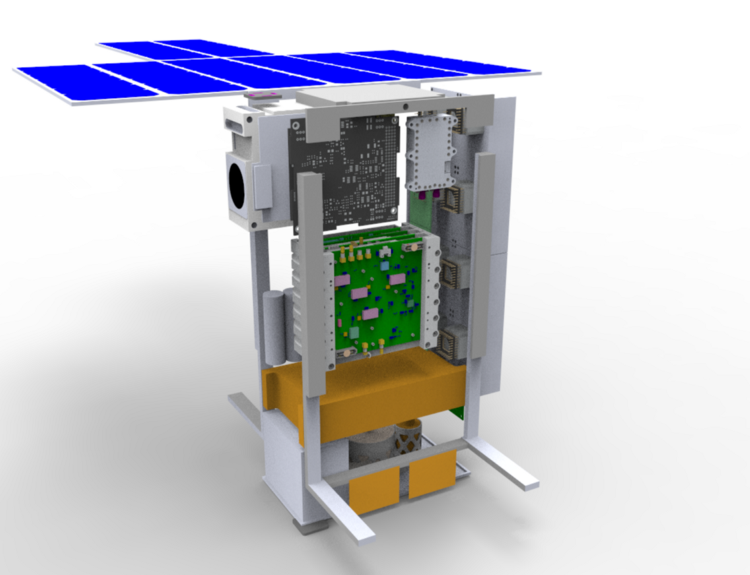 LunaH-Map is a small satellite mission that will constrain the abundances of polar hydrogen at the Moon. The spacecraft weighs 14kg, carries a neutron spectrometer, radio, propulsion system, star tracker, reaction wheels, solar arrays and batteries. The total mission budget is a very small fraction of a traditional NASA mission.